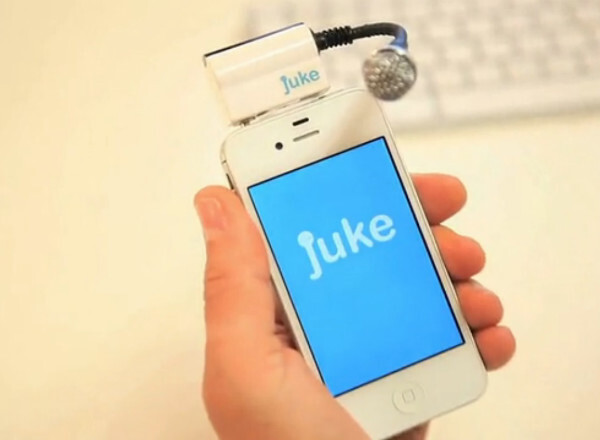 Juke is a portable, patent-pending, lightest and wireless karaoke machine be installed directly into the smartphone headphone jack. 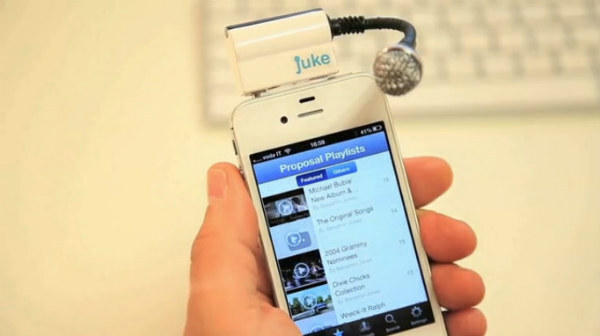 Juke has a special Bluetooth microphone and a receiver. Simply plug the JUKE microphone into your smartphone device and it gives you an unprecedented new music experience that you will love. 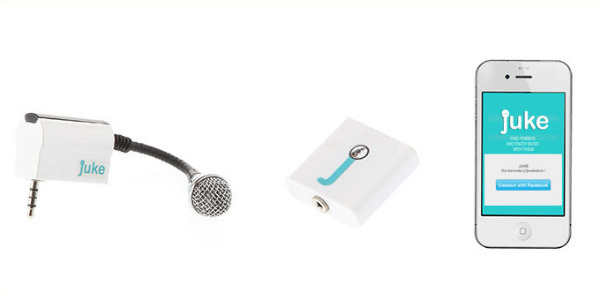 With the Bluetooth receiver, you can wirelessly connect your JUKE microphone to your home stereo or stand-alone speakers. Stream or downloand to your cache library for FREE from YouTube or Vimeo and start singing along to your favourite songs. The receiver has an internal rechargeable battery, good for over 8 hours of play time and can be plugged in for continuous power as well. The receiver stays connected up to 33 feet away, giving you plenty of freedom to move about as you choose. 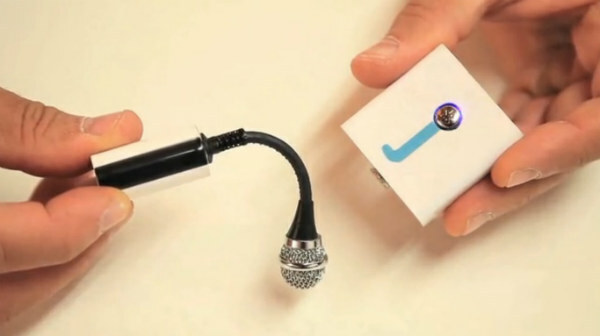 You can mix sound clips like claps, screams, whistles and more. Add microphone effects like echo, harmoniser, pitch correction, limiter and expander, and more. Order your Juke Here.